Taking Care of all Your Roofing Needs Since 1985! We believe that a well-built roof is your home’s first line of defense against damage from the elements. The blazing Texan sun beats down on your roof during the summer, followed by the storms, wind, hail and possible snow in winter and spring. A Longhorn Roofing roof is built to withstand all of these elements and more, protecting you and your home for years to come. After an initial conversation we will send one our roofing experts to evaluate your roofing needs at no charge. We will take our recommendations and formulate an easy to understand estimate with the best pricing possible for you. After agreeing to a time that works with your schedule, we will install your roof. We consider your job complete only after we review the work with our 12-point inspection. Our dedication to quality workmanship and using only the best materials, coupled with reliable, expert advice you can trust makes us the number one choice for all your roofing needs. Want a roof that will last 15-25 years in the rugged Central Texas climate? While some roof companies use 2-step shingles, all our shingles are made with a 3-step process. Are you interested in the beautiful and modern styling that metal roofing offers? A metal roof typically lasts twice as long as a shingle roof, but requires lower maintenance. The roof is one of the most vital structural elements of a home. If you are in any doubt about the condition of your roof, it is important to get an expert roofer to take a look at it. 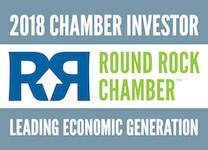 Longhorn’s outstanding reputation for service and quality workmanship continue to be highlighted in the reviews from our customer’s on Google, Yelp and Facebook. Install a beautiful new budget-friendly roof that will protect your home for years to come. Assist you in choosing the most cost-efficient roof for your unique situation. Help you choose an energy efficient roof that can make you more comfortable and save you money. Let you explore ways to use your new roof to upgrade the curb appeal of your home. Get you the best possible warranty on your new roof. 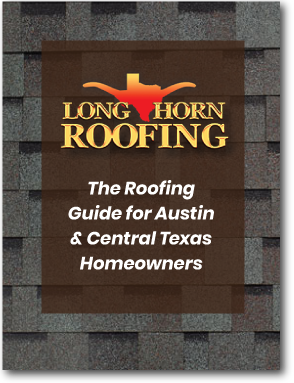 At Longhorn Roofing, we know that people in the Austin area are concerned about their home value as well as how well their roof protects their property. A roof is a large investment, so why not use this opportunity to improve your home value? Color Choices: From a variety of traditional browns and grays to greens and even whites, we can help you find the right roofing color to compliment the color scheme of your home. Style Choices: Along with traditional 3 tab composite shingles, Longhorn Roofing offers laminated dimensional shingles which are also referred to as architectural shingles. Energy Efficient Choices: For people who want the greatest possible energy efficiency, Longhorn Roofing’s professional roofing salespeople can assess your roof and discuss options to keep your roof cooler with adequate venting or with reflective shingles. The truth is that high-quality roofing products will only last if they are installed correctly. Our foreman, Jairo Castro, and crew have more than a hundred years of combined experience in roofing in Central Texas. In addition, we make sure that our roofing crews and sales representatives are continuously trained in all of the latest roofing technologies. 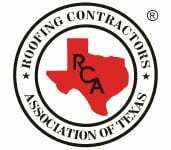 GAF: As a GAF certified roofer, Longhorn is committed to ongoing professional training to ensure quality installation and has not only licensing and insurance but a proven reputation in our community. 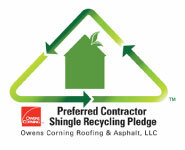 Owens Corning: Longhorn is a preferred contractor that is certified to do installations which give you the best roofing warranties. CertainTeed: As a Master Shingle Applicator, Longhorn Roofing has proven to have a full knowledge of the roofing systems, flashing, ventilation, estimation, and product installation. Custom Metal Roofing: Our metal roofs are constructed on-site for a perfect fit from extra-thick, 24-gauge Galvalume coated steel panels that provide up to 50 years of protection on your home. The standing seam style hides all fasteners keeping the roof watertight and providing a sleek look that is always in style. Longhorn Roofing means doing it right, the first time and every time. Longhorn Roofing has an A+ rating with the Better Business Bureau and is a member of the Roofing Contractors of Texas. We are proud to have earned an A rating on Angie’s List, and the prestigious 2013 Super Service Award. We are available for emergency repairs and will respond to your call quickly. “Longhorn was recommended to me by a contractor out here in Dripping Springs that has used them in the past. They came right out, gave a good explanation of what needed to be done, including replacing some facial boards and decking, gave me an excellent price. Their crew of about 10 guys came out, did the job in one day, cleaned up the debris and left.